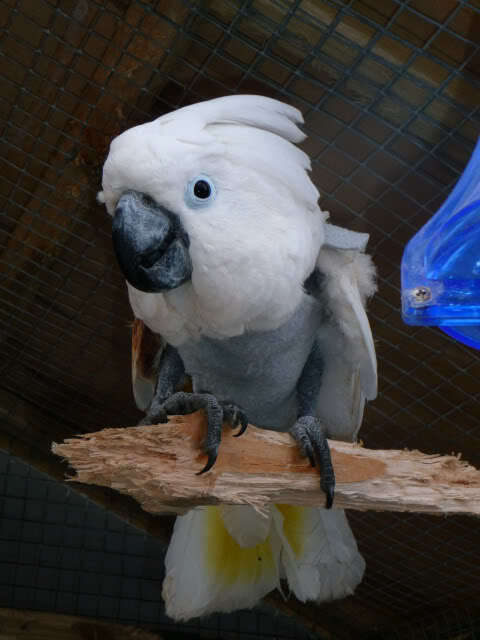 Dewy, my gorgeous U2 at the sanctuary. 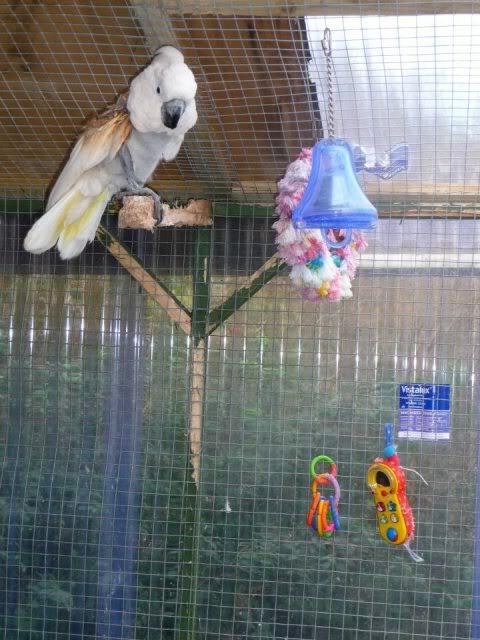 Just had to show you some photo's Donna has sent me from the Island Parrot Sanctuary of Dewy, one of my sponsored birdies. 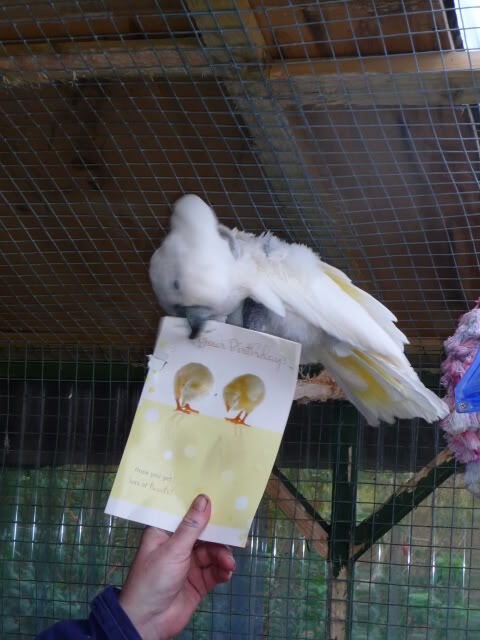 It was his birthday and I sent him some pressies, so he and his avairy mates could have a special day! He's such a gorgeous boy! Re: Dewy, my gorgeous U2 at the sanctuary. 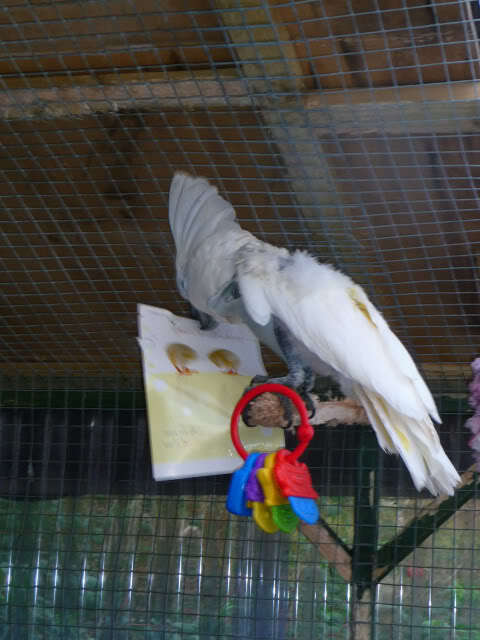 He's lovely Margy, he's enjoying his birthday card!! Yes, it doesn't matter how much you spend on toys for them or treats, it's always the paper stuff or the box they prefer! 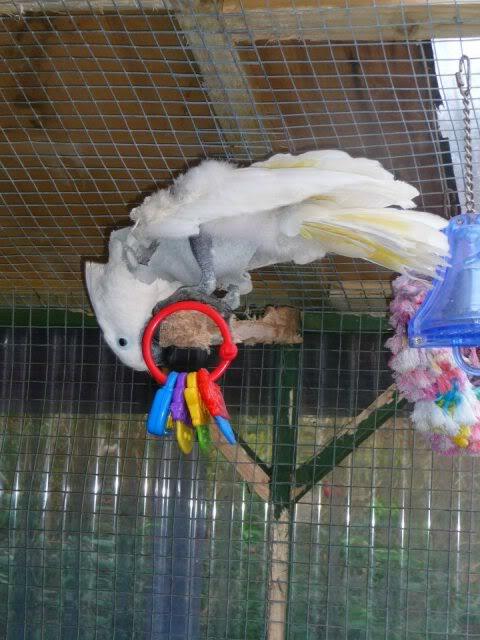 I send my other boy John Boy grey Sue! How does it work Margy, is there a set fee, monthly, yearly etc? Er, I don't think there is a set donation, I pay £20 a month to each bird and send them pressies at all times of the year! 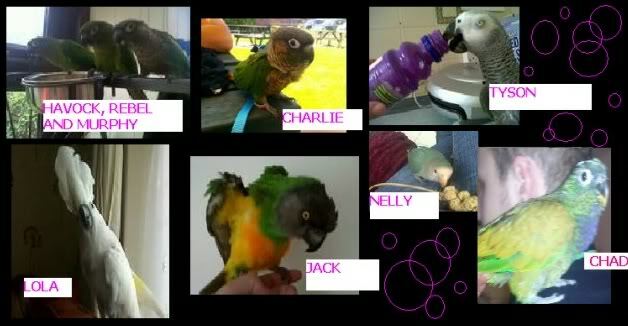 I left the choosing of the bird to Donna Beveridge, I asked her to choose a bird that needs someone. I can give you her email address if you like? and speak to her? Thanks, I will have a look on their website Margy. Always takes time to send me photo's of my two boys and lets me know whats happening with others too! 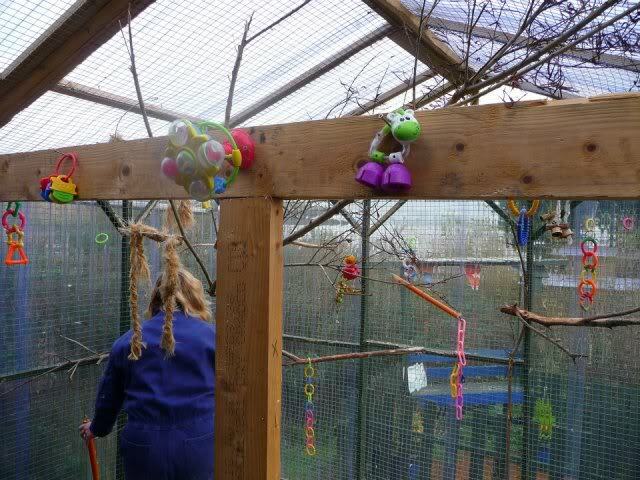 That`s Donna all over though, always got time for the birds and the people trying to help them. It`s not something you see from many people is it? No, not at all....I know Donna is there for you, Yvonne too!